Mississauga, May 4, 2016…Bayshore HealthCare, a Canadian leader in the provision of home heath care services, celebrates a significant milestone this year. Bayshore’s 50-year anniversary will be marked with celebrations, story-telling opportunities, a special anniversary section on its website, a video and promotions. All of this to highlight that while Bayshore’s foundation may be built on its experience as a home health care provider, the company has strategically grown and expanded its business. Our services now include therapy and rehabilitation, infusion and dialysis clinics as well as health care navigation for employers. Bayshore’s origins began in 1966, but it wasn’t until 1993 that Bayshore was established as a wholly owned Canadian company. Through a tactical approach of acquisitions and partnerships, Bayshore has grown to be not only a leading provider of health care services in Canada, but an important member of the health care environment. While keeping its passionate and caring service to the client its mission, Bayshore is also proud of its connection with the local communities it serves. Over 60 decentralized offices across the country are integral partners with other community agencies, hospitals and health care providers. In addition, the many partnerships with health care associations and accomplishments such as the recent award as one of Canada’s Top Employers for 2016 from Forbes Media helps to strengthen Bayshore’s reputation as a leader in the health care field. 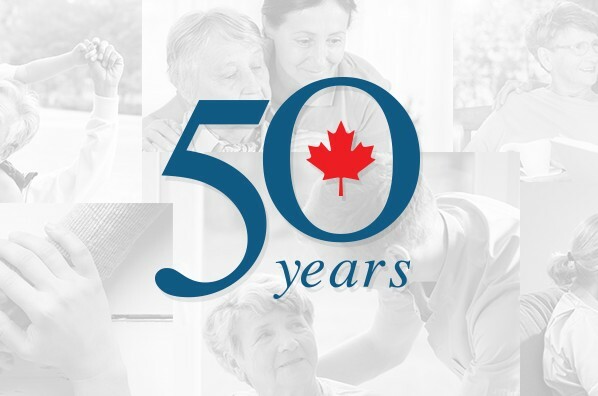 Today, Bayshore launched a new 50th Anniversary section to its website – one that acknowledges the contributions of its long term employees and clients, but also includes a video, a special message from Bayshore’s president, and a membership program. The site will be updated regularly with stories and photos, as well as special promotions. Bayshore HealthCare is one of the country’s leading providers of home and community health care services and a Canadian-owned company. Its services are purchased by government care programs, insurance companies, workers’ compensation boards, health care organizations, the corporate sector and the public. The Bayshore brand extends across three business divisions: Bayshore Home Health (medical and non-medical home care and staffing services), Bayshore Specialty Rx (specialty pharmacy, infusion and pharmaceutical patient support services as well as dialysis centres) and Bayshore Therapy & Rehab (physiotherapy and rehabilitation services). The company’s goal is to enhance the quality of life, well-being, dignity and independence of Canadians of all ages. Bayshore HealthCare has been a recipient of Canada’s Best Managed Companies award since 2006 and recently named as one of Forbes Best Employers in Canada. To learn more about Bayshore’s 50th Anniversary click here.